“What if the breath that kindled those grim fires, / Awaked, should blow them into sevenfold rage, / And plunge us in the flames; or from above / Should intermitted vengeance arm again / His red right hand to plague us?” (Book II, 170-174)"
So it does make a sort of twisty, bendy sense that "Red Right Hand" would find itself the subject of both literature and art. We have DeviantArt user DrFaustusAU to thank for a Seussified version of the Let Love In single. Art by DrFaustusAU. "Take a little walk to the edge of town. 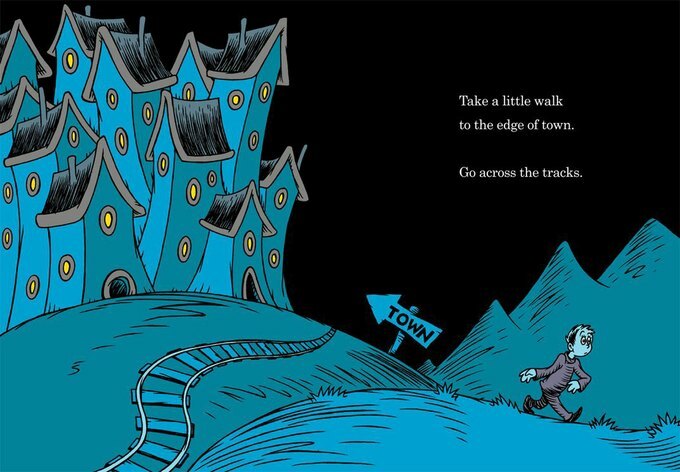 Go across the tracks." 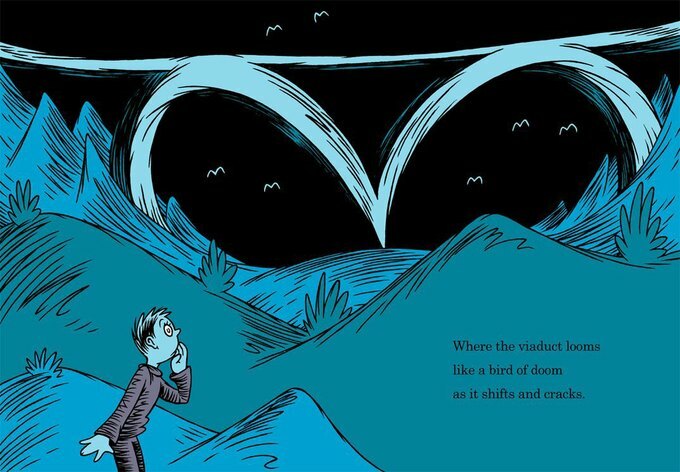 "Where the viaduct looms like a bird of doom as it shifts and cracks." Art by DrFaustusAU. 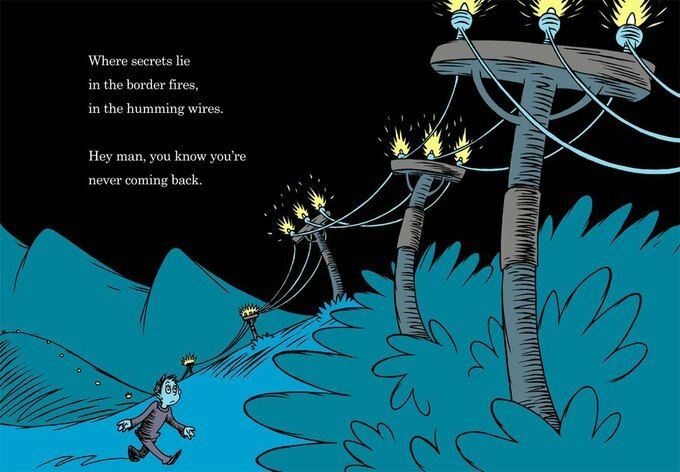 "Where secrets lie in the border fires, in the humming wires. Hey man, you know you're never coming back." Art by DrFaustusAU. "Past the square. Past the bridge. 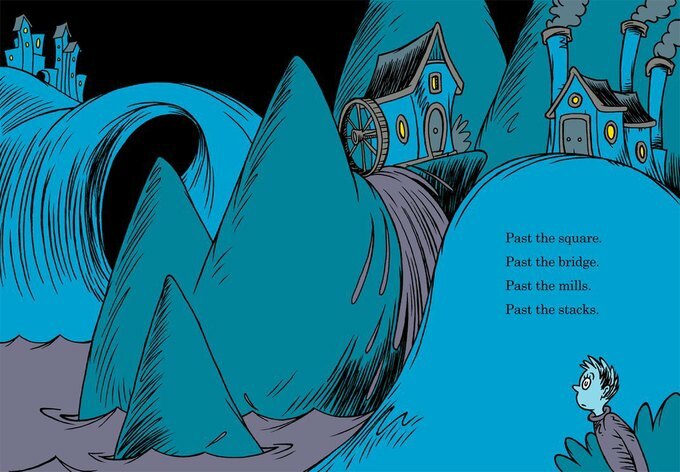 Past the mills. Past the stacks." Art by DrFaustusAU. 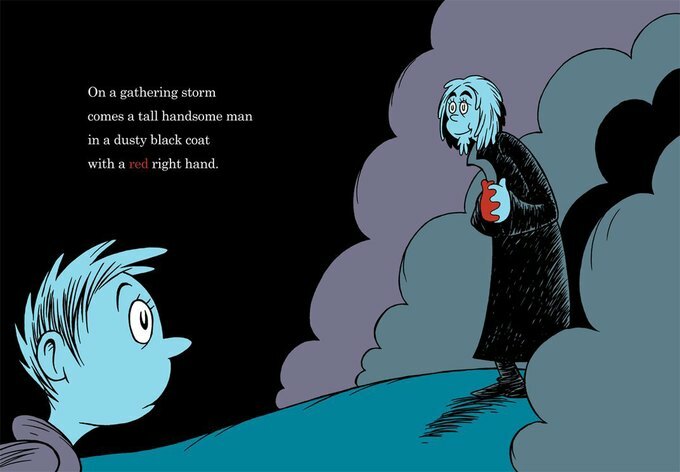 "On a gathering storm comes a tall handsome man in a dusty black coat with a red right hand." Art by DrFaustusAU. 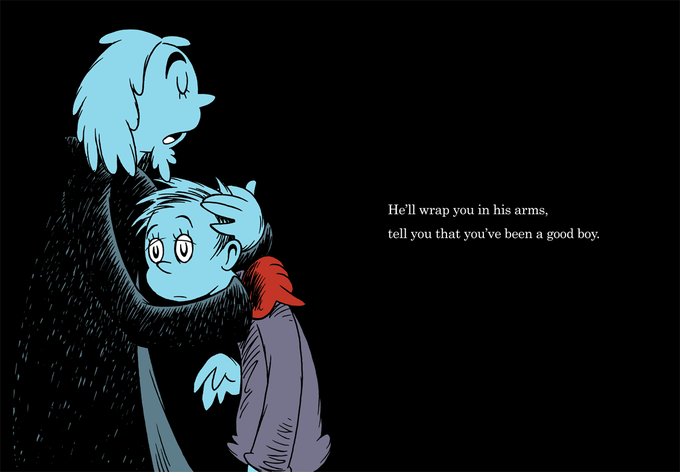 "He'll wrap you in his arms, tell you that you've been a good boy." 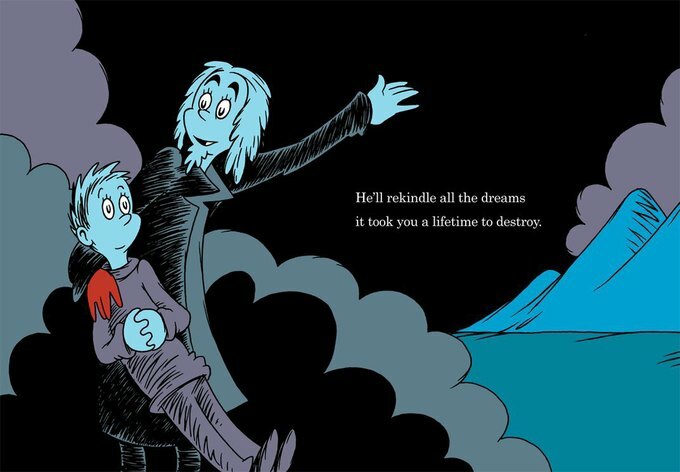 "He'll rekindle all the dreams it took you a lifetime to destroy." Art by DrFaustusAU. 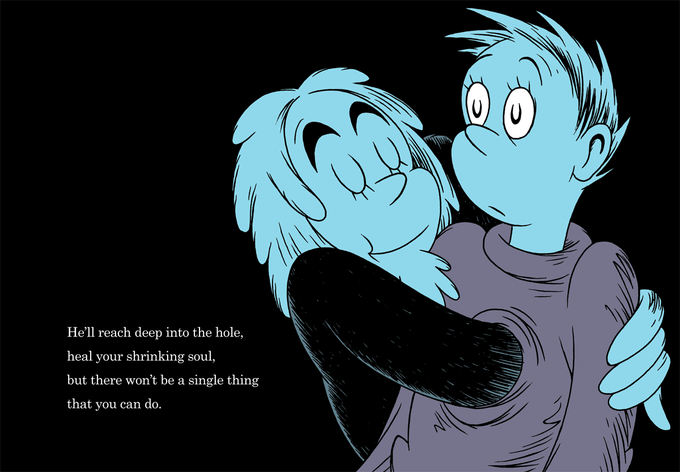 "He'll reach deep into the hole, heal your shrinking soul, but there won't be a single thing that you can do." Art by DrFaustusAU. "He's a god. He's a man. 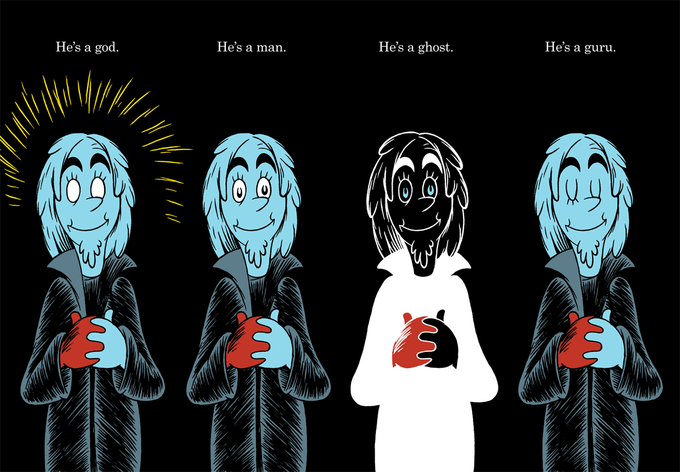 He's a ghost. He's a guru." Art by DrFaustusAU. 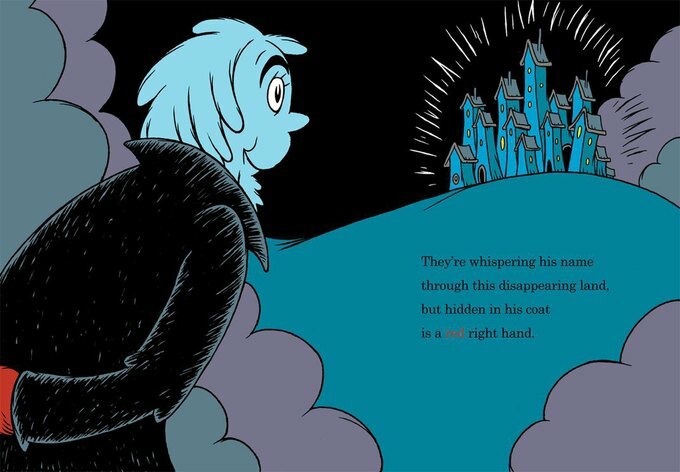 "They're whispering his name through this disappearing land, but hidden in his coat is a red right hand."